This is the main bungalow on O’land Plantation which was redesigned using the framework of the old manager’s bungalow that was originally built in 1851. It has old world charm, expansive 360 degree views of both tea bushes and the valley and very generously proportioned guest bedrooms.The guest bedrooms are located on the upper storey of the bungalow while the main dining room and kitchen are on the ground floor. Ideal for those who want to be within easy distance of amenities such the dining room, books, board games etc. 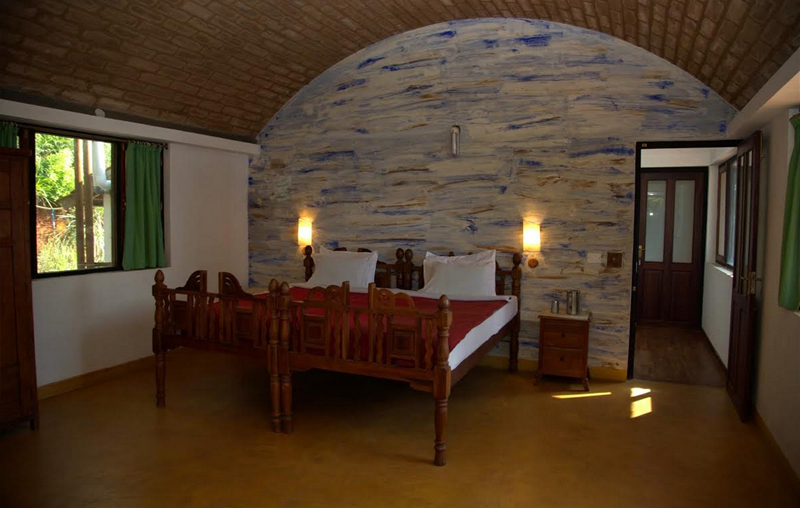 2 Guest Bedrooms (MOSAIC room and ESTATE room) with their own bathrooms, large balconies with views of mountains and waterfall, charming interiors including mosaic chip tiling in bathroom, interesting handmade clay washbasins and custom-made furniture. Onsite kitchen and dining hall makes it ideal for guests who have mobility problems. ESTATE room comes with a King size bed and a balcony facing the valley and waterfall. 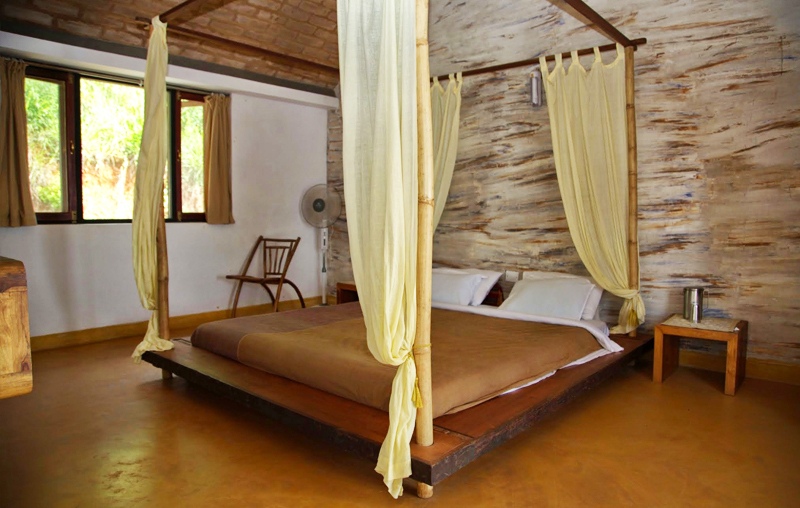 MOSAIC room has a designer bamboo bed and balcony facing the valley side. Most convenient location: situated nearest the dining room with spectacular view of the valley in front and green tea bushes behind. 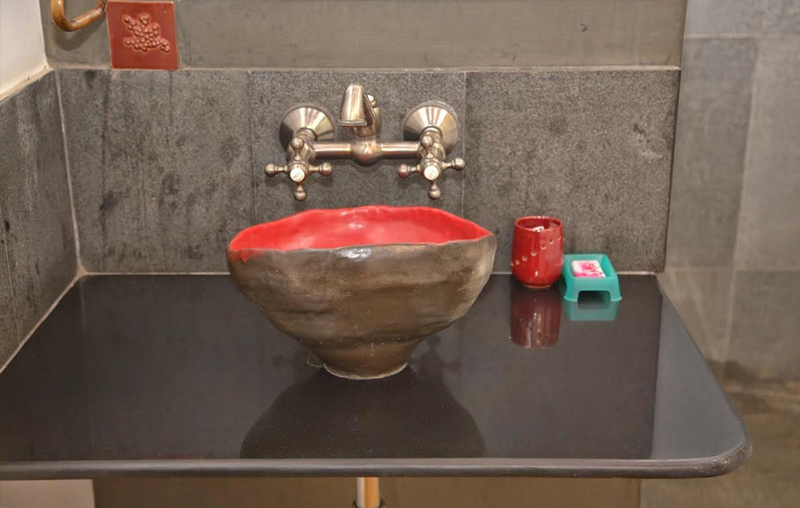 Environmentally responsible: solar lighting; biomass water heaters; eco brick construction, eco-paints, water harvesting and water saving devices, reclaimed wood and bamboo furniture, low energy appliances. Large LCD TVs/Cable connection available in each room.